Competition for the Eastern Conference’s final wild card place is tight, with five teams separated by just five points. The Metropolitan division is pretty much set and although the New York Rangers haven’t yet clinched, barring any major collapse, their playoff place looks pretty safe. The picture in the Atlantic division is less concrete. No teams have clinched yet, although it’s unlikely that the Montreal Canadiens and Ottawa Senators will fall from the top two spots. The Toronto Maple Leafs’ position is slightly more precarious though. They’re holding onto the third spot, but only by one point. They currently have 84 points, so that’s the benchmark as it stands. The Boston Bruins have a loose grip of the second wild card place right now, but are just one point behind Toronto, and one point ahead of the fellow Atlantic rivals Tampa Bay. Let’s look at the challengers’ schedules and chances of knocking the Bruins out the playoffs. Something Boston fans will be all too familar with. The Detroit Red Wings advanced to last season’s playoffs after Boston’s expense when the Bruins lost to Ottawa and the Flyers beat the Penguins. The Bruins advanced to the golf course. Jon Cooper’s Lightning have had a difficult season, one peppered with injuries and there’s been a struggle to find consistency. But they’re also the best hope for knocking the Bruins out of the playoffs and clinching their fourth consecutive playoffs. The Lightning have seven games left, including road games at Boston and Toronto. All the remaining games are important in a race this tight, but the chance to deny points to the competition will be key. Dallas and Buffalo at home could be easy points. The Bolts have won their last three games and are 7-3-0 in their last 10. The Islanders also have seven games left, but this includes a reasonably tricky four-game road trip. Road games against the Carolina Hurricanes and the Nashville Predators will be a challenge as both teams are in the race. The Islanders’ campaign may come down to the wire. They face the New Jersey Devils twice and although they’re well out of the playoff picture, they’re still capable of winning games. 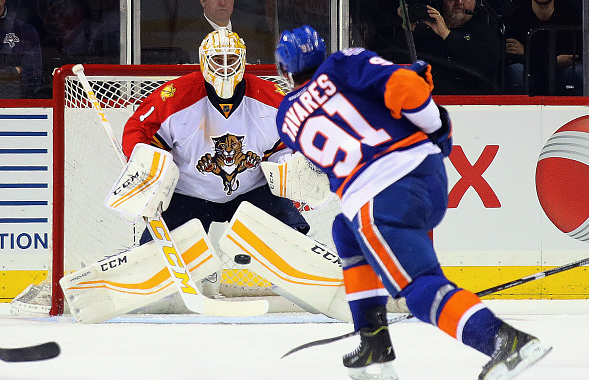 The Isles will face the Ottawa Senators in their final game. The other Metropolitan challenger: the Hurricanes. Carolina have taken eight points from their last five games, and they all count in a race this tight. The ‘Canes have eight games left, five at home including against playoff race rivals the Islanders. Carolina are definitely the outsiders and have to take on the Pittsburgh Penguins and Minnesota Wild on the road, two teams who’ve already clinched but will still be challenging. Their final game is on the road in Philadelphia, who are already out of the race, but won’t be a push-over.